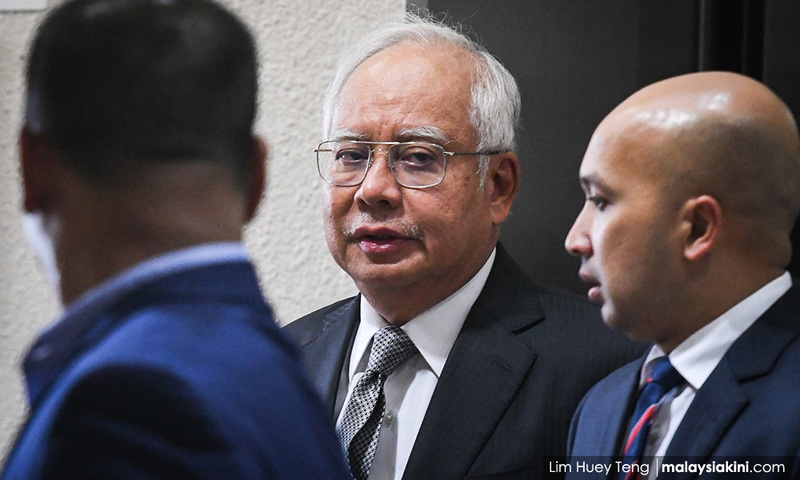 LIVE | The second day of former premier Najib Abdul Razak's criminal trial involving SRC International Sdn Bhd takes place at the Kuala Lumpur High Court. 4.45pm - Thank you for following our live report today. Reporting by Hidir Reduan, Anne Muhammad and Hariz Mohd. Social media updates by Ewe Linq Yenn. Photographs by Lim Huey Teng. 4.20pm - Najib leaves the court complex smiling together with some 10 supporters. 4.15pm - High Court judge Mohd Nazlan Mohd Ghazali allows the prosecution's application to adjourn proceedings until 9am tomorrow. Court-appointed DPP V Sithambaram informs the court that the process of photocopying the documents needed by Najib's defence is taking longer than expected. "The photocopying is taking longer than expected and may even stretch to 5pm,” he says. 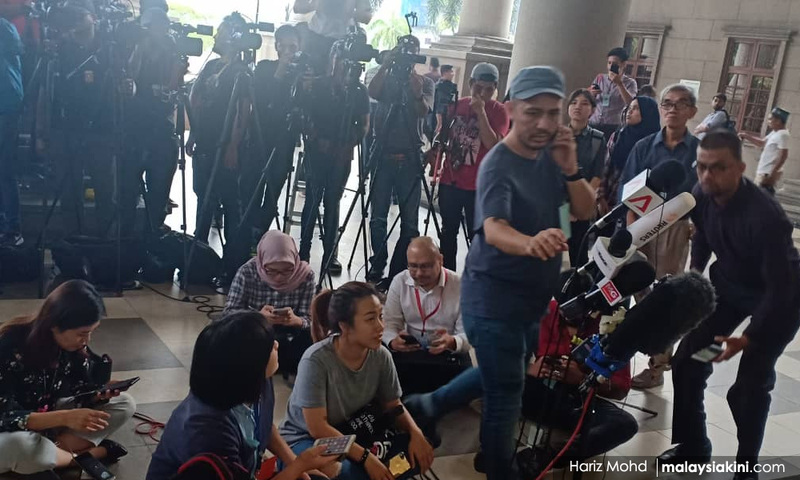 Earlier, Najib's counsel Harvinderjit Singh sought for a temporary adjournment of proceedings as the defence needed the documents to prepare proper cross-examination of the prosecution's second witness, Bank Negara investigation officer Azizul Adzani Abdul Ghafar. 3.15pm - As he waits for the proceedings to resume, Najib reads a book. Amidst the chatter in the public gallery, the former premier remains engrossed as he flips the pages. 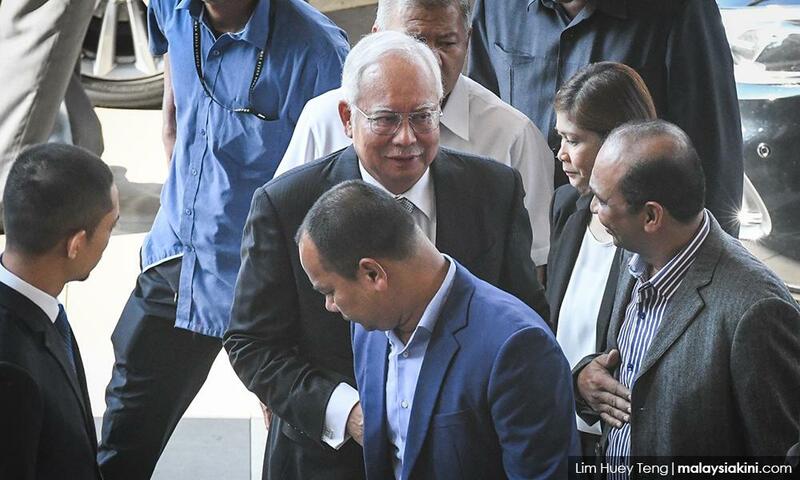 3.02pm - Proceedings temporarily adjourn to allow Najib's defence team to get the necessary documentation to properly cross-examine the prosecution's second witness, Azizul Adzani Abdul Ghafar. The accused's counsel Harvinderjit Singh says their documentation was a bit "jumbled up" while the prosecution's one was better arranged. Earlier during examination-in-chief by DPP Suhaimi Ibrahim, Azizul said he handed over the confiscation list (scenario geledah) and related documents to Bank Negara investigation officer on July 7, 2015. 2.40pm - Proceedings resume with DPP Suhaimi Ibrahim continuing his examination-in-chief of the second prosecution witness, Bank Negara investigation officer Azizul Adzani Abdul Ghafar. 1pm - Najib exits the court complex towards his car. Around 10 supporters are seen waiting for Najib outside the complex lobby. A supporter is heard shouting, "Hancur kezaliman", "Lawan tetap lawan” and “Takbir Allahuakbar". Najib is smiles and shakes hands with one of his supporters before entering his car. Hearing will resume at 2.30pm. 12.45pm - The second prosecution witness, Bank Negara investigative officer Azizul Adzani Abdul Ghafar testifies that he took part in a raid on an Ambank branch at Jalan Raja Chulan, Kuala Lumpur, on July 6, 2015. During examination-in-chief by DPP Suhaimi Ibrahim, the 41-year-old says that he was the raiding officer during the raid, which netted eight sets of documents related to the account openings by the accused Najib Abdul Razak, SRC International, and Gandingan Mentari. Azizul: I was appointed as the raiding officer by (Bank Negara's) investigating officer Farhan Shahrudin over suspected offences committed under Amla (the Anti-Money Laundering Act). When Suhaimi asks how many sets of documents were seized, Azizul says there were four sets of documents, which dealt with bank account openings from 2011 to 2015, involving Najib, three linked to SRC International and one involving Gandingan Mentari. Najib's counsel Harvinderjit Singh applies for a short recess to allow the defence to go through the sets of documents. High Court Mohd Nazlan Mohd Ghazali allows the application and fixed 2.30pm for proceedings. 12.30pm - Akmaludin, is released from the witness stand after cross-examination and re-examination. 12.15pm - Companies Commission of Malaysia (SSM) assistant registrar Muhamad Akmaludin Abdullah testifies that his knowledge on the companies registered with the commission is only based on what he had seen in their documentation. During re-examination by DPP Suhaimi Ibrahim, the first prosecution witness says that as a result, he does not have personal and specific knowledge on the nature and activities of company filings with SSM. Suhami: In your statements today (during cross-examination by Najib's counsel Harvinderjit Singh), it is not from your own knowledge but based on what was stated in the documents (filed with SSM)? 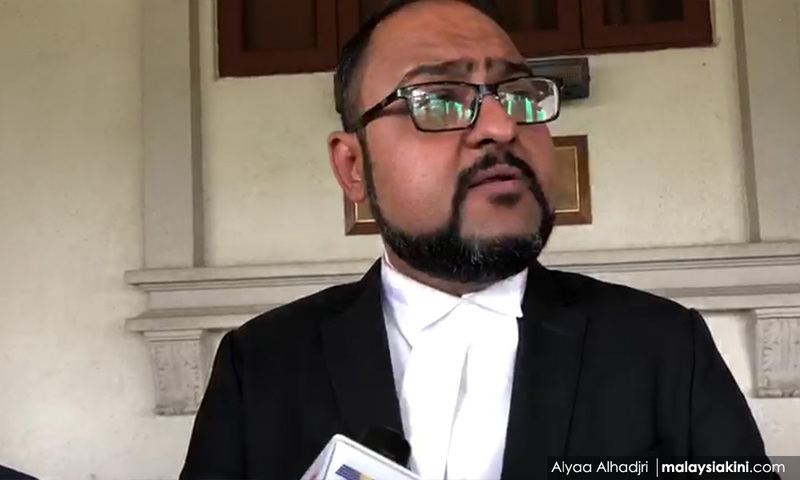 Earlier, during Harvinderjit's cross-examination, Akmaludin gave a series of answers that alternated between "Yes" and "I do not know" in regard to filings by SRC International with SSM. Harvinderjit's line of questioning is focused on SSM filings by SRC International, which seems to show a delay in their filing whereby the date of the documents are at least a month from when they were filed with SSM. Among the questions are in those in regard to a purported discrepancy over filings relating to an alleged 2015 meeting by SRC International's board of directors which led to the transfer of 999,998 shares from the company to 1MDB Energy. Harvinderjit contends that the defence' stance is that there is no such resolution by the company dated August 2015, among others. 12.10pm - Proceedings resume with DPP Suhaimi Ibrahim continuing his examination-in-chief of the second prosecution witness, Bank Negara investigation officer, Azizul Adzani Abdul Ghafar. 11.13am - The proceedings stop for a short break after Muhamad Akmaludin Abdullah is cross-examined by Najib's counsel Harvinderjit Singh. Harvinderjit questions the witness on the apparent incongruity of 999,998 SRC International shares being transferred to 1MDB Energy a few months before documents were received by the Companies Commission in August 2011. 9.43am - Proceedings resume, with DPP V Sithamabaram informing the court that the prosecution has no objection to the defence's application to view the three documents related to SRC International. Muhamad Akmaludin Abdullah takes the stand again to face cross-examination by Najib's counsel Harvinderjit Singh. 9.23am - Judge Mohd Nazlan Mohd Ghazali orders a temporary stand down of the trial to allow the defence to view documents they had previously asked the first prosecution witness Muhamad Akmaludin Abdullah to produce. Earlier, DPP V Sithambaram asked the court whether it was necessary for Akmaluddin to produce the three documents. During cross-examination on the first day of the trial, defence lawyer Harvinderjit Singh (below) had asked Akmaludin whether he could produce the documents. These include the Companies Commission list of documents lodged on SRC International, a search document on Yayasan Rakyat and a document detailing the particulars of the foundation. Sithmabaram tells the court that the court's direction is necessary to ascertain whether the documents are relevant. Harvinderjit counters that it is necessary for the defence to look at the documents first to determine their relevance. "I have not come to the stage of whether the documents are relevant or not as I have not seen it yet. These are all just public documents. "Before we can talk about admissibility, the documents must be shown to us first, then they can be entered as public documents. "My learned friend (Sithambaram) is jumping the gun. He can also view the documents and we take it from there," the defence lawyer says. 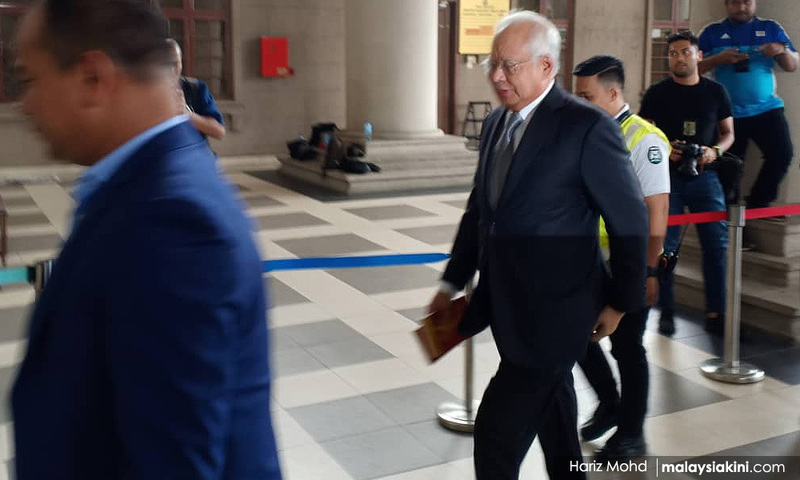 9.13am - Najib puts away his book and enters the dock as High Court judge Mohd Nazlan Mohd Ghazali enters the courtroom to begin proceedings. 9.03am - Clad in a black jacket, Najib enters the courtroom and sits in the front row of the public gallery. He is seen reading a book as he waits for the proceedings to start. The book is called Dunia Tanpa Tembok (World Without Walls) by Ayman Rashdan Wong, who writes that “knowledge is power,” “language is symbolic” and “geography is fate.” The three phrases, he adds, can bring down the walls which separate humanity. Minutes earlier, his lead defence lawyer Muhammad Shafee Abdullah entered the courtroom and greeted the rest of the defence team. 9.01am - Najib arrives at the KL High Court in a black Proton Perdana. The ex-premier greets the reporters stationed outside as he enters the court complex. 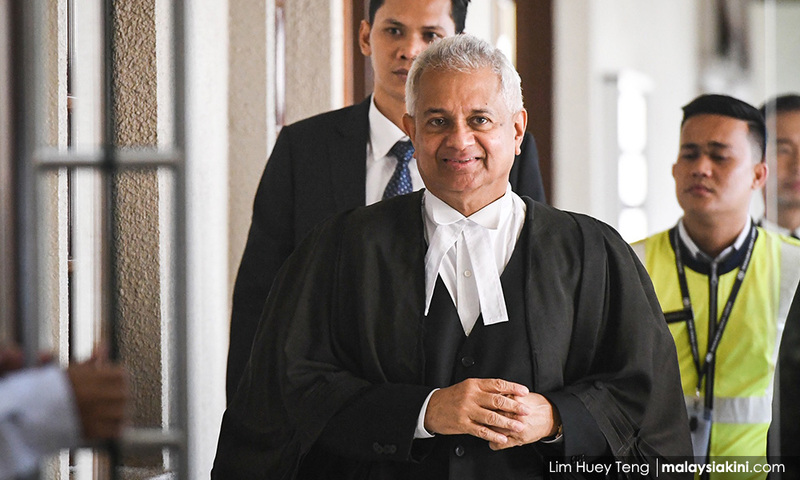 8.52am - Attorney-general Tommy Thomas enters the KL High Court to lead the prosecution in today's SRC International trial against Najib. 8am - The second day of Najib Abdul Razak's criminal trial involving SRC International Sdn Bhd is set to begin today. 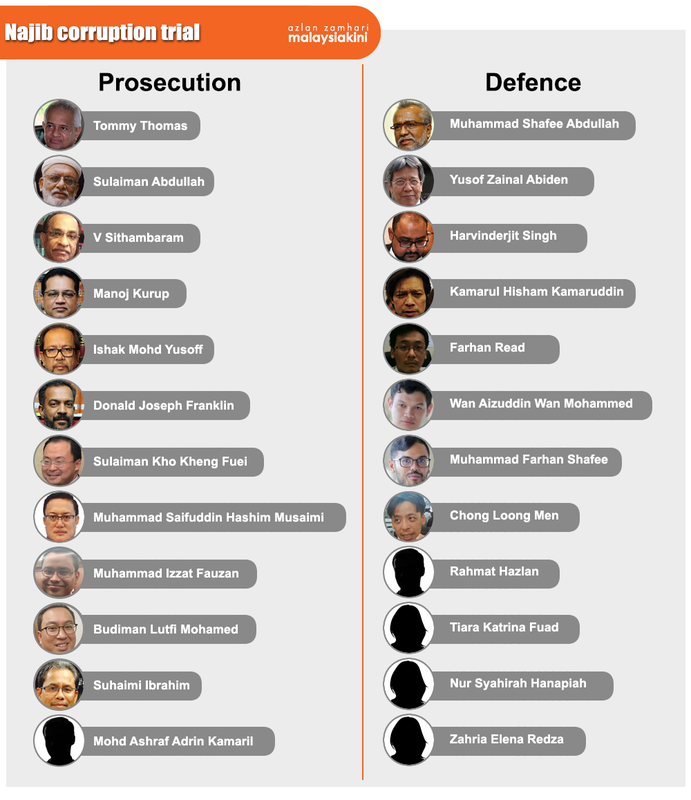 The ex-premier is facing three counts of criminal breach of trust under Section 409 of the Penal Code, and one count of abuse of power under Section 23 of the MACC Act 2009 over funds amounting to RM42 million linked to SRC International, a former 1MDB subsidiary. Najib, who was also the finance minister and adviser emeritus of SRC International, is also facing three money laundering charges under Section 4(1)(b) of the Anti-Money Laundering, Anti-Terrorism Financing and Proceeds of Unlawful Activities Act (AMLATFA) 2001. If convicted, the Pekan MP can be sentenced up to 20 years' jail, whipping and fine for the CBT charges; 20 years' jail and a fine not less than five times the amount involved or RM10,000, whichever is higher, for the abuse of power charge; and 15 years' jail, and a fine up to RM15 million or five times the amount involved, whichever is higher, for the money laundering charges. His case today will be presided by High Court judge Mohd Nazlan Mohd Ghazali. 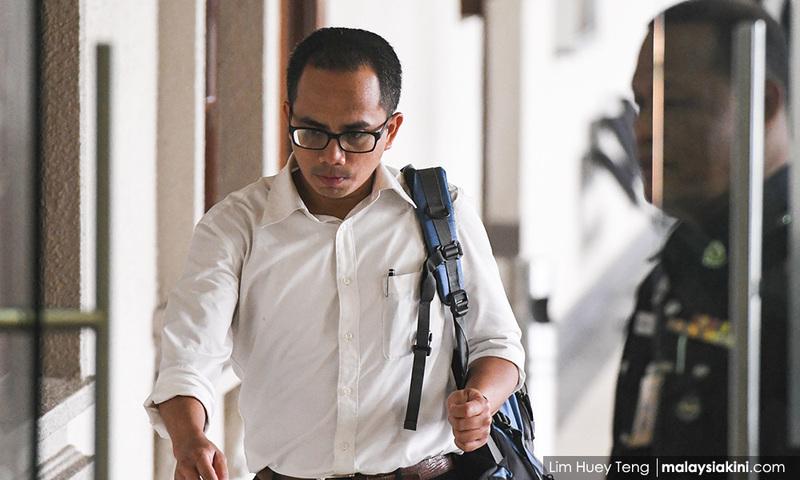 The trial will kick off with the resumption of the defence team's cross-examination of the first prosecution witness, Registrar of Companies deputy registrar Muhamad Akmaludin Abdullah. On the first day of Najib’s trial, Akmaludin testified that he had received a request from the MACC to run checks on records of three companies, namely SRC International, Gandingan Mentari and Ihsan Perdana. 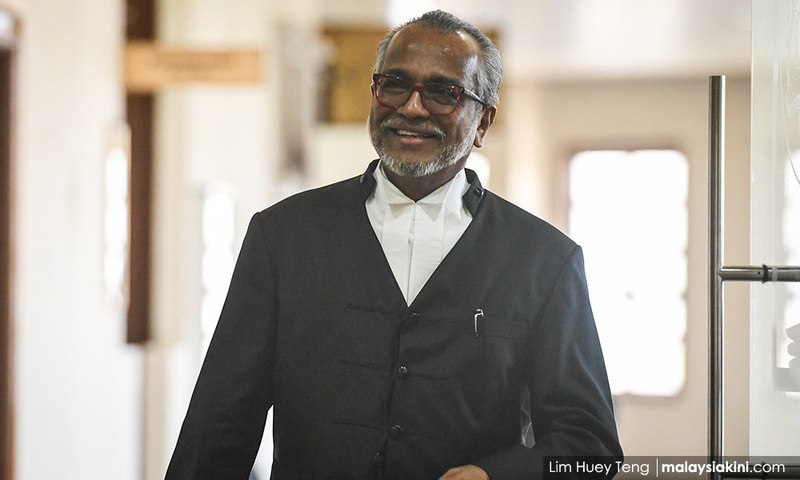 Meanwhile, Najib will be represented by a 13-person defence team led by veteran criminal lawyer Muhammad Shafee Abdullah (above).